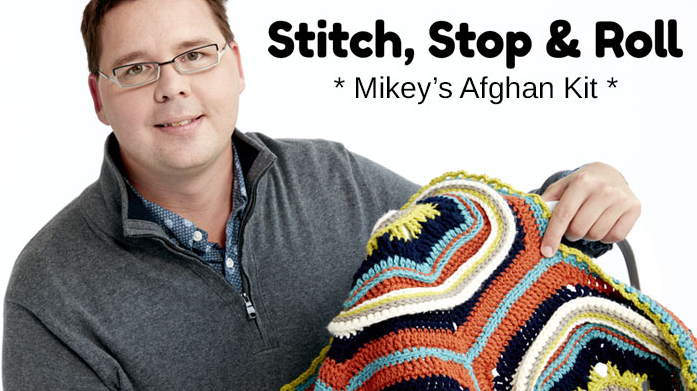 Crochet an afghan designed by me, Mikey, called Stitch, Stop and Roll. I have a review on my afghan if you wish to learn more. The afghan is colourful and has a wonderful mix of texture and unusual techniques. 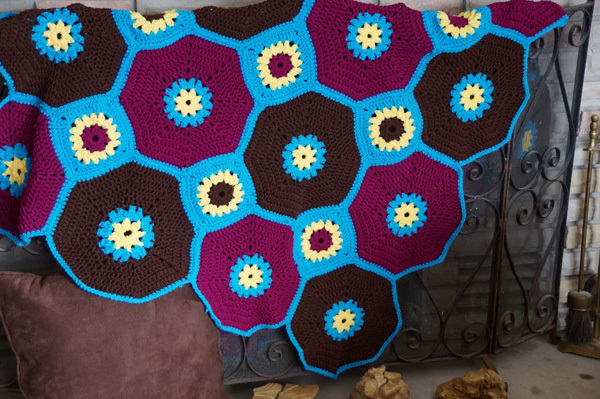 A terrific afghan to expand your crochet skills with. This afghan is available in a pre-assembled kit for those who would like to match one of the five colour options that are available. You can view all of the kits to see the colour combos. 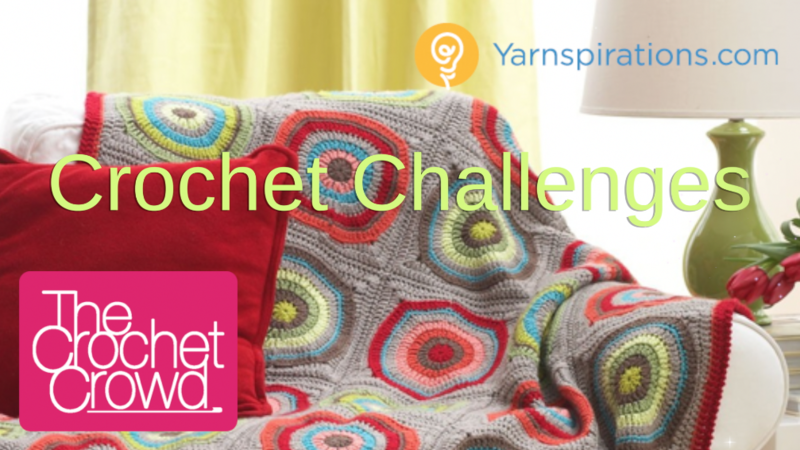 This challenge is hosted by Yarnspirations as far as providing the giveaways and photo collections of your finished afghans. You are not required to buy the kit to play along. January 11th, 2016, the video tutorial to follow along will be ready for you to crochet along with me. The Yarnspirations site promised the pattern would be available free today. Where is it? Thank you. I wanted to choose my own colors for this. I’m considering red, orange, yellow, green, blue and violet. What do you think of that? Mikey you are an awesome person and I am so proud to have met you even if it is through facebook and youtube videos. Thank you for teaching me to crochet this year, and now I am learning to knit as well and can actually read patterns because of you. Thank you for being there for me when I needed you too.